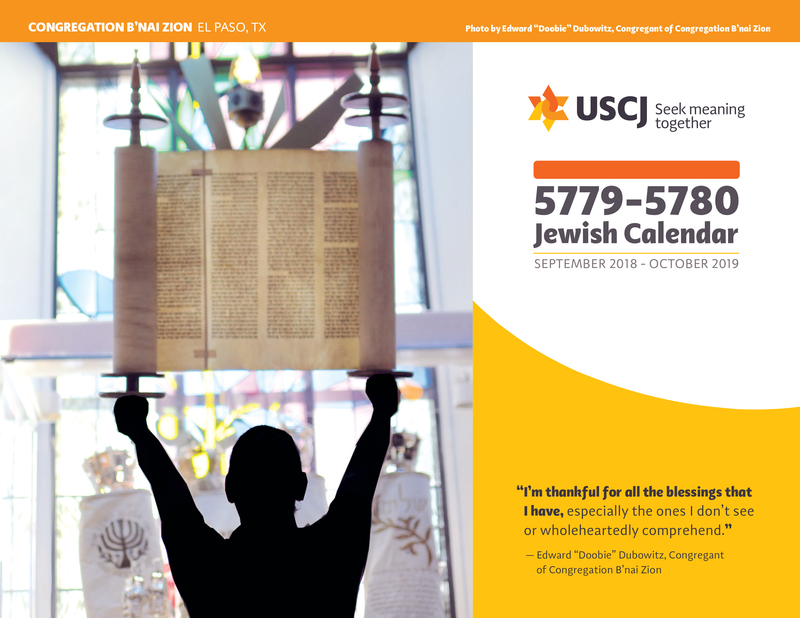 The theme of USCJ's 5779 calendar is authentic and dynamic Judaism as expressed through our kehillot. Your donation to receive your USCJ calendar supports our mission to strengthen the ability of our kehillot to fulfill their sacred mission and connect to one another with a shared sense of purpose. To order your calendar by phone, please call 212-533-7800 ext. 813. For inquiries, we can be reached via email at donate@uscj.org. Choose a suggested donation amount above. Please note, the minimum donation amount is $36 per calendar. Only complete if items will be shipped to address different than the Donor's Bill To address above. NOTE: After clicking CONTINUE please confirm to make your payment on the next page. Please contact our Director of Major Gifts, Jonathan Boiskin, at 646-519-9249. Please contact our Senior Director of Finance, Balchan Gajadhar, at gajadhar@uscj.org for information on making gifts of mutual fund shares, stock, or securities before initiating your transfer. USCJ must be notified of asset transfers in order to credit gifts to you. A donor‐advised fund (DAF) is a charitable giving program that allows you to combine the most favorable tax benefits with the flexibility to support the organizations you value. You may recommend grants to USCJ directly from your DAF.